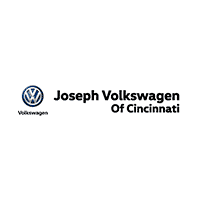 Joseph Volkswagen of Cincinnati welcomes all our VW customers from Norwood, Hyde Park, Fairfield, and the surrounding communities of Cincinnati! We sell great new and used VW cars and SUVs with the best customer service you’ll find in Cincinnati. As a VW dealership serving the Florence, Mt Lookout, Kenwood, Beechmont, and Fairfield, OH VW communities we pride ourselves on Volkswagen ways: quality employees and quality cars! Our excellent selection and lifetime powertrain warranty makes us a huge hit with VW shoppers from Dayton as well! Best dealership in Cincinnati! The employees are always happy to help and provide excellent service. The service department is great. Always reasonably priced and fast. Love my Jetta as well, such a well-built car. I Bought a 2011 Volkswagen cc. I did not feel pressured into making decisions like I have in my past car buying experiences. Shout out to (Suzanne) she was vary sweet and helpful to me and my wife. Great place to buy a car! Best VW dealer that I have ever dealt with, and I have done business with many in my lifetime. Use the order guides to find out what equipment came standard on your VW. Whichever Volkswagen you choose, we’re proud to have you as part of the family.